Ages 2.5-16. Designed to stimulate and challenge children of all levels, age groups and abilities. Ages 4-15. Up4Tennis offers a Tennis & Swim Camp which is geared to all levels of play and provides campers with a fun, tennis-focused environment. Private and semi-private customized instruction is available for both children and adults. Adult group programs are offered seasonally, including ALTA Team lessons. The teaching staff is very experienced, very patient, and super energetic which makes every lesson fun. 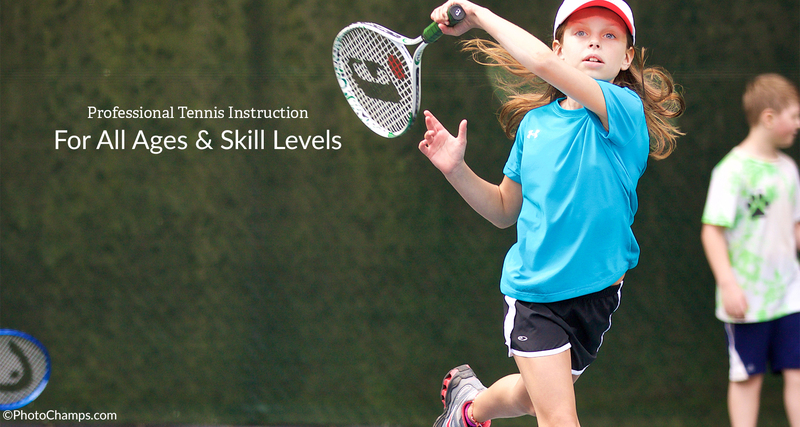 For Information on Tennis Instruction in Brookhaven, Chamblee, and Roswell, & Tucker areas contact Angela Simon 404-617-1305.